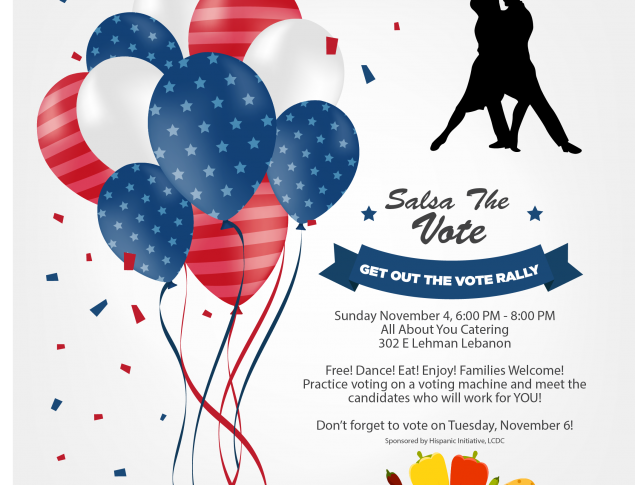 Join Us For Salsa The Vote November 4th! There will be refreshments, music, candidates, a voting machine and voter information. All Lebanon County Democrats are welcome. if you’d like to volunteer, make a financial contribution, or sponsor this event. Order Your LCDC Mug Today! Lebanon Democrats Spring Dinner – RSVP! Copyright 2016 Rescue Themes. All Rights Reserved. Paid for by LCDC.